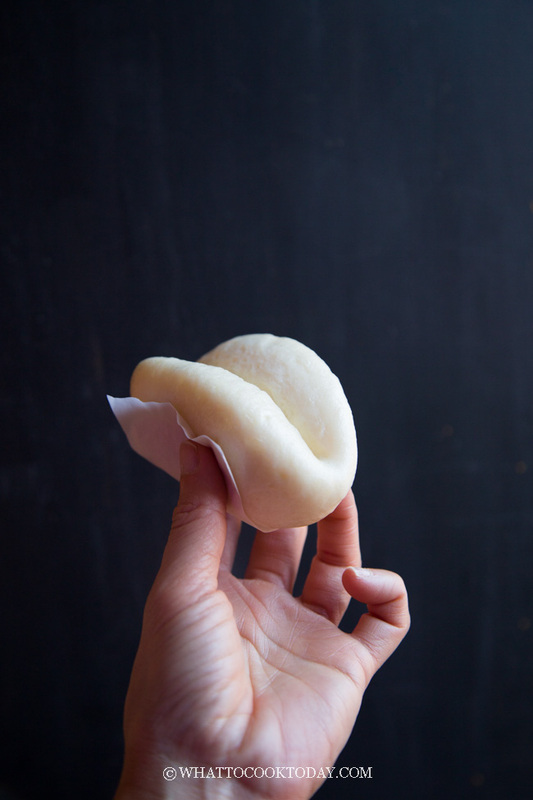 Learn how to make soft and fluffy Momofuku steamed buns (folding bao buns) that you can use to sandwich anything you want in between those soft steamed bao buns. 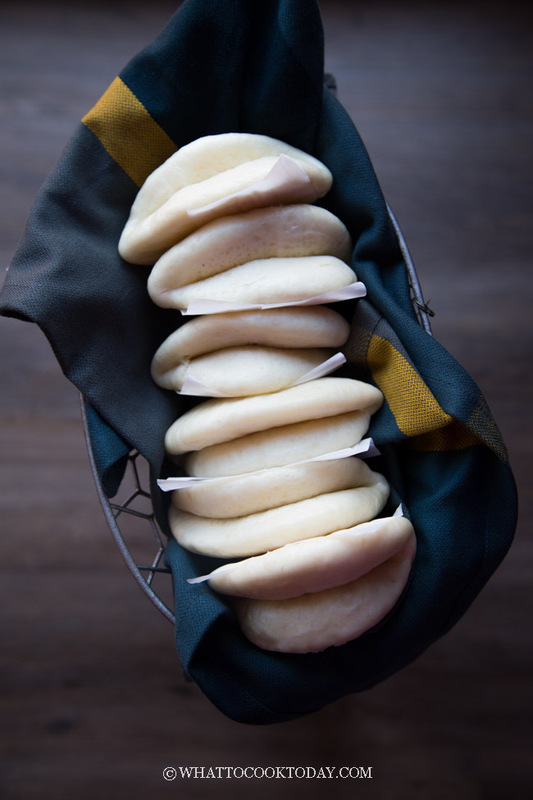 I never heard of Momofuku steamed buns until probably 5 years ago. I’ve never been to any of the Momofuku restaurants. 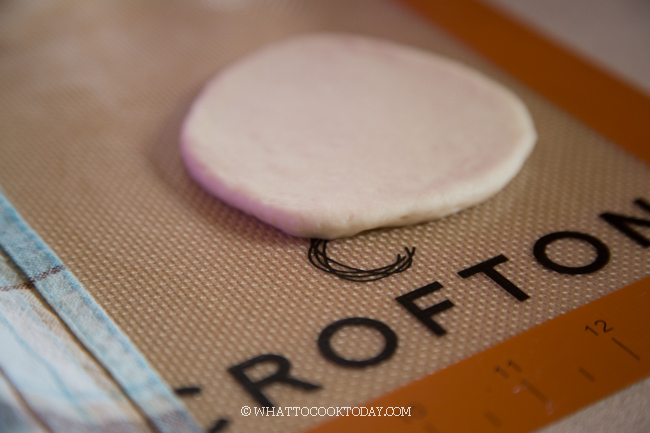 They are definitely made famous here in the U.S. by Momofuku in NYC. 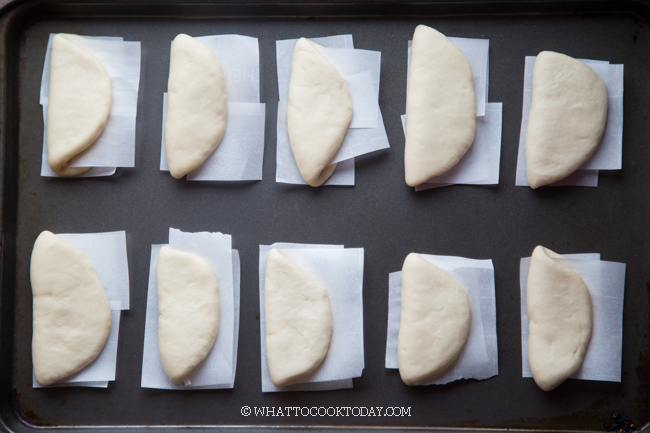 My husband loves their steamed buns. 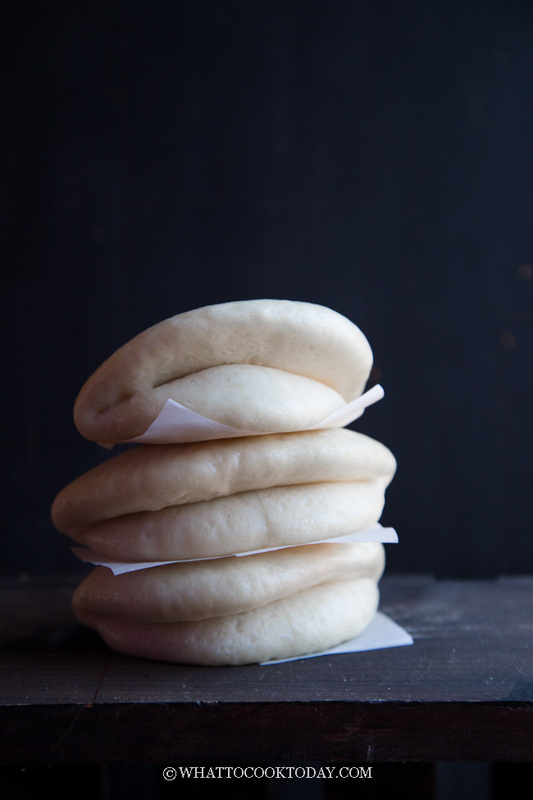 Momofuku pork belly buns to be exact. 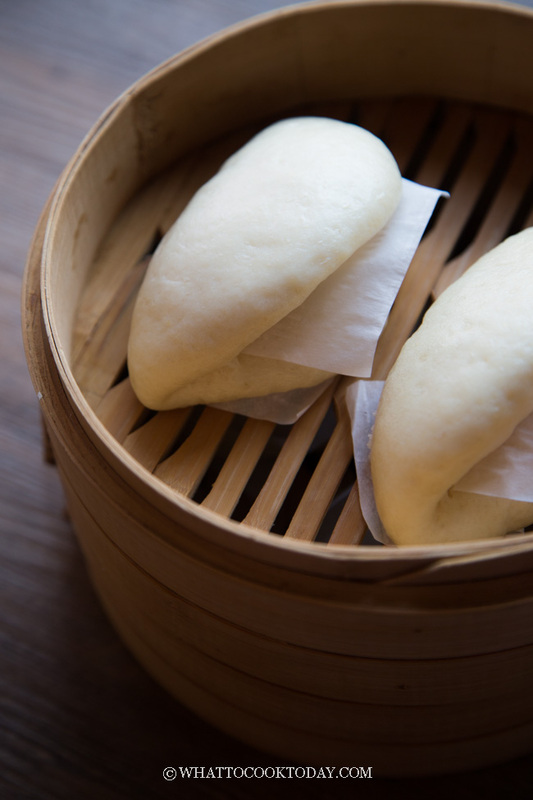 Unlike the regular steamed buns with fillings stuffed inside the buns, the steamed buns are folded in half and can be opened and filled up with whatever you want in between like a sandwich. 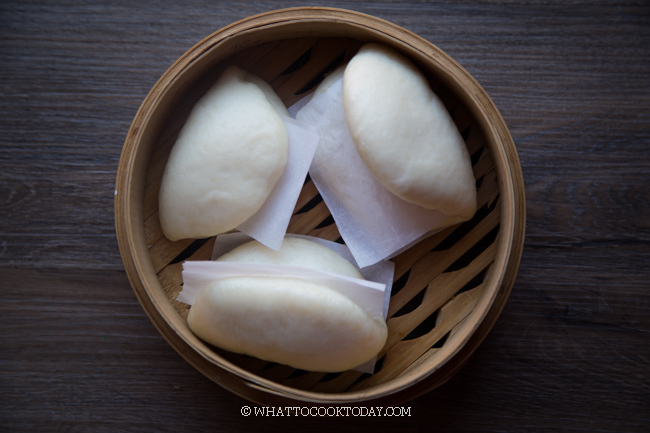 I used my basic soft and fluffy Asian steamed bun recipe to make this Momofuku steamed buns. 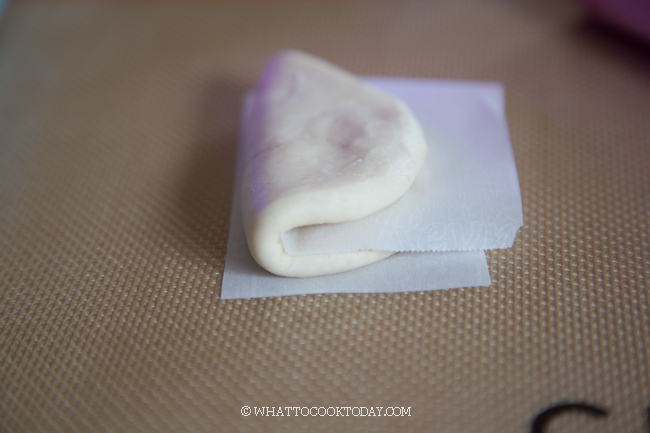 I wrote in more details how to make a soft and fluffy steamed bun in that post if you are interested in reading more about it. 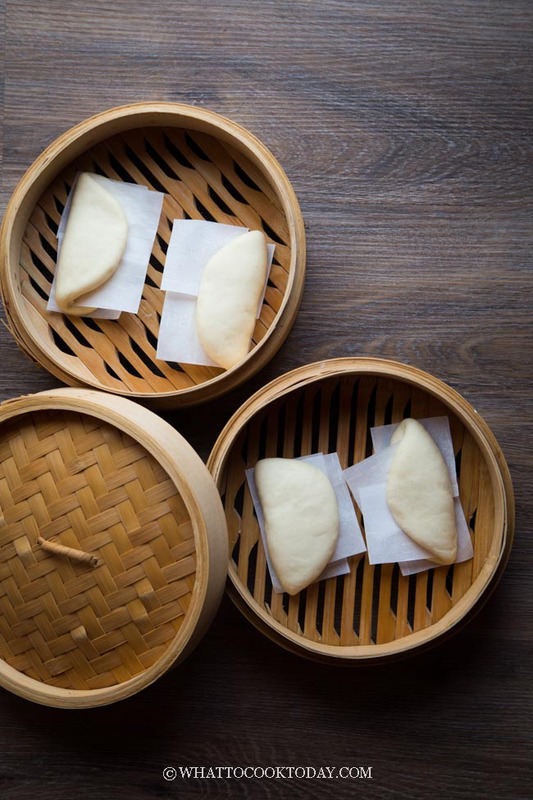 The Taiwanese version known as gua bao is usually sandwiched with a thick slice of pork belly, pickled mustard greens, and some crushed sweet peanuts. I had some leftover char siu and some cucumber and so that’s the version you see here. My husband absolutely loves this version too. You can really put any sliced or chopped meat, pickled veggies like pickled cucumbers or dill pickles. 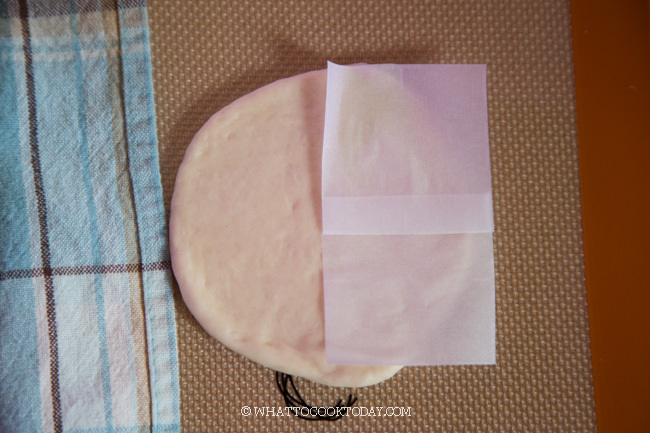 My husband absolutely loves this combination and so do the kids. 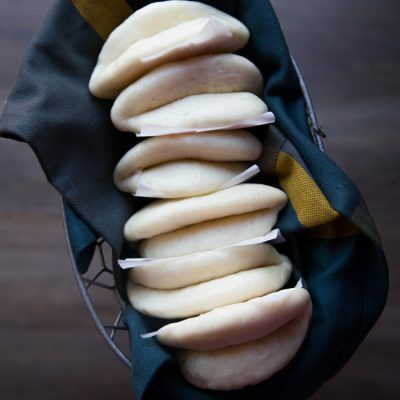 What will you sandwich in between this Momofuku steamed buns? Hi Lisa, so sorry for missing that link. I’ve included that in. Please let me know if anything else is unclear! Would love to hear what you think about it 🙂 HOpe I”m not too late in replying!